A report on the lie that masks rocket building and a look at the world's indifference. So what will happen when Iran cheats on its agreement? Palestinian terrorists this week tried to smuggle two tons of rocket-making material into Gaza, disguised as home construction materials. You won't hear the Obama administration or the major news media talking about it. But it speaks volumes about the dangers Israel faces and the indifference of the international community. mas used to make rockets that it fired at Israel last year. "During Operation Protective Edge last summer, long-range fiberglass rockets were fired at Israel from Gaza and exploded in the Palmachim area between Tel Aviv and Ashdod," the newspaper Israel HaYom noted. The two-ton shipment was marked in such a way as to give the impression that it was to be used in home construction. But in fact "the fiberglass was earmarked for use by terrorist groups in Gaza," according to officials of Israel's Shin Bet security agency. The list of items that Israel prohibits from reaching Gaza is not very long. There are a grand total of 16 types of military materials, and 18 types of dual-use items. The military items are mostly various types of chemicals, accelerants, fertilizers and carbon products needed for the manufacture of explosives. The idea that Gaza is "suffering" because they are deprived of these things is absurd. Let's hear the State Department explain why Gazans absolutely must have diethylenetriamine, thiethylenetramine, or E-100-ethyleneamine. The dual-use materials are items that can be disguised as being for civilian purposes, but which Israel knows from experience will be used for terrorist purposes. This list includes prepared concrete, hunting knives, and night vision goggles. After the Gaza war, the Obama administration and others began pressuring Israel to permit the entry of concrete as "reconstruction" aid. They insisted that third-party inspectors would make sure the cement was used for homes, not tunnels. In December, however, the Times of Israel reported that cement was being diverted to build tunnels for terror attacks. And the London Sunday Telegraph reported on April 4 that Iran is sending "tens of millions dollars" to Hamas "to help it rebuild the network of tunnels in Gaza destroyed by Israel's invasion last year." Are these just unconfirmed rumors? Don't bet on it. In fact, former U.S. envoy Dennis Ross already let the cat out of the bag on this one. Last summer, Ross wrote in the Washington Post (Aug. 20) that in 2010, Secretary of State Hillary Clinton sent him to press Israel to ease up on its blockade of Gaza, in the aftermath of Israel's withdrawal from that region in 2005. "I argued with Israeli leaders and security officials, telling them they needed to allow more construction materials, including cement, into Gaza so that housing, schools and basic infrastructure could be built," Ross revealed. "They countered that Hamas would misuse it, and they were right." In response to Secretary Clinton's request, Israel allowed the cement into Gaza. But it wasn't used for houses, after all. It built the terror tunnels were used to carry out numerous terrorist attacks against Israel. On June 29, Iran's Al-Alam Television interviewed terrorists from the Gaza branch of the Al-Aqsa Martyrs Brigade. That's a division of Fatah, which is headed by the "moderate" Palestinian Authority chairman Mahmoud Abbas. The terrorists were filmed inside a 3.5 kilometer-long terror tunnel which "crosses the border between the Gaza Strip and the Zionist enemy," as one of the terrorists put it in the TV segment. The terrorist told the interviewer that he and his comrades are planning on "using attack tunnels against the Zionist entity. We will now go through one of those tunnels to see what the [Al-Aqsa] Martyrs' Brigades is preparing for this occupation [Israel]." "Here is the first tunnel," the Iranian narrator continued. "When we met the Ribat [Islamic] fighters in this tunnel, they said that the weapons in their hands and their preparations for confrontation with the Israeli enemy are what give them reason to live." A terrorist then explained: "There are tunnels inside [Gaza] through which Jihad fighters pass during war….We spend all our time trying to get money to fulfill our duty concerning our occupied lands and liberate them from the Zionist entity. This is why we are asking [for money]...especially [from] Iran, which is a known long-time supporter of the resistance and the Palestinian cause..."
The rebuilding of Gaza's terror infrastructure is taking place right before the eyes of the world, with "humanitarian" goods employed in the service of jihad. Paging Dennis Ross! The former U.S. envoy should be the first one to speak out about what's happening.. But apparently he is busy with other matters these days. 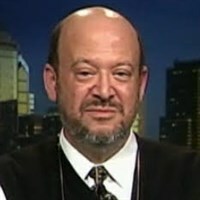 Mr. Korn, chairman of the Philadelphia Religious Zionists, is the former executive editor of the Philadelphia Jewish Exponent and the Miami Jewish Tribune.